Our commitment to the industry is seen in our training programs and our never ending education to new technology and better cleaning standards. We are constantly taking classes and seminars on new and better ways of doing things. One example is our new cleaning products. Green Seal Certified Envirox products are not only excellent cleaning chemicals, using hydrogen peroxide, but also very safe for our environment. These chemicals are completely non corrosive, non toxic, safe on all pipes and sewage systems, and safe for your staff to breathe. Our new micro fiber cleaning products completely prevent cross contamination by having different colored cleaning cloths for each part of the building. 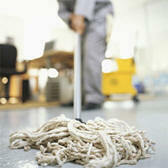 We also use flat micro fiber mops for mopping. We try our best not to cross contaminate. Our management team is always involved in learning as much as we can about the janitorial and building service industry. We send several members of our management team to the ISSA convention every year. With something as important as your buildings maintenance, we feel knowledge is power. We strive hard to clean for your health! We love our area here in Southern Oregon. We have traveled all over and wouldn’t want to live anywhere else. Because of this we feel very strongly about supporting our community and the people here. We support such charities as the Rogue Valley Medical Center Cancer Research Program, many children in our area with programs and charity events, like Living Opportunities. We have supported Southern Oregon Heat. We contribute regularly to a local private school. We also are a sponsor of the Medford National Little League here locally. We take great pride in our business. We have been in business for a very long time and feel that we have our success because we have good business values and know how to treat our customer. We have such an enormous amount of information on our industry from videos and programs to a very impressive library in our office for every aspect of business. These items are available to our employee’s at all times for additional education. We encourage all our employees to reach out for new opportunities in the company and always maintain a high level of professionalism in everything they do for us. We like to have our customers know that we are very professional and will care for their needs, but still small enough to feel very comfortable with, for that small town appeal. 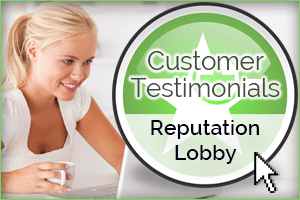 We work hard on our relationships with our accounts and strive to serve their needs for years. As your business grows, we want to grow with you. A company is only as good as the quality of work it produces. We believe very strongly in customer satisfaction and in doing so our quality of work must be high. Weekly walkthroughs are done with the Operations Manager to follow up with Quality Assurance forms. Supervisors check the accounts on a weekly basis to ensure nothing gets missed. These forms are entered into a software program at the office by the Administrative Assistant, and work tickets are printed to be given to the employee responsible for that account that night. These work tickets must be performed and signed off by the employee, rechecked by management, and re-entered into the software program. Once a month the Director of Customer Service does a walkthrough with the office manager at each account to ensure everything is being done, and quality is at its best. We also have a phone system were we can be reached 24 hours a day in case of emergencies that need immediate attention. We have an office and warehouse where our management team works from 9:00- 5:00 Monday through Friday. Our training program at Vista Building Services, Inc. is extremely important to us and our employees. A good training program not only assures good quality work, but makes the employee feel more secure and better about their job. Our hiring standards are very strict. Open Online does our thorough background checks. For many years now they have done a great job in helping us with our pre- hiring process. Our program begins with orientation the first night with the Human Resource Manager. They will cover all aspects of the job from proper chemical use, MSDS information, cross contamination and proper cleaning of restrooms, to safety issues and individual account concerns. They will work with their trainer for about a week with reviews nightly, to make sure they understand every part of their new job and feel comfortable with what they do. Then they work with a lead person until they can clean on their own. All employees who work in health care buildings are trained for Blood Borne Pathogen training. Employees are required to watch training videos at our office before starting, and be tested on several important issues. These training videos are provided by the BSCAI, and prove very beneficial to explain how to clean properly, and safety issues. Our employees are trained to take great pride in their work, and make sure it meets our high standards.